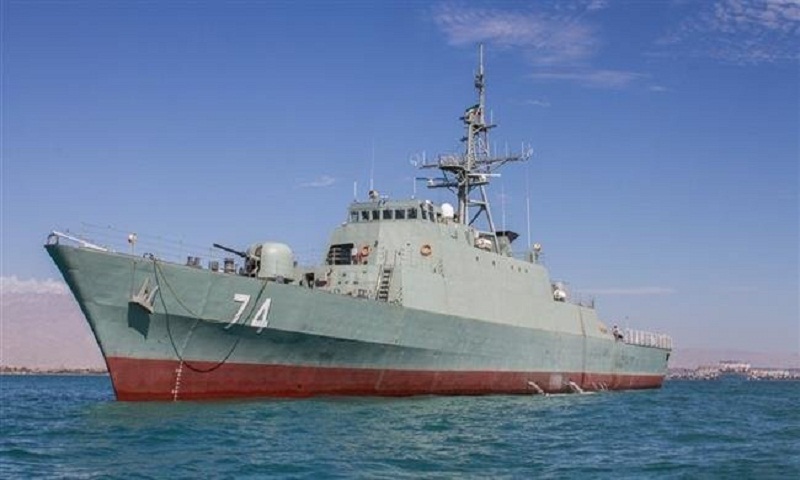 Iran on Saturday launched a domestically built destroyer in the Persian Gulf capable of traveling some five months without refueling, state TV reported. The 1,300-ton vessel named Sahand after a mountain in northern Iran took six years to build, according to the report. TV showed a ceremony marking the inauguration with a three-gun salute at the southern port of Bandar Abbas, at the mouth of the strategic Strait of Hormuz, the passageway for nearly a third of all oil traded by sea. The Sahand has a helicopter landing pad, is 96 meters (105 yards) long and can cruise at 25 knots. It is equipped with surface-to-surface and surface-to-air missiles as well as anti-aircraft batteries and sophisticated radar and radar evading capabilities, the report said. Since 1992, Iran has been working to build a self-sufficient military, reportedly producing its own jet fighters, tanks, missiles and light submarines as well as torpedoes. Iran added the first domestically made destroyer to its fleet in 2010 in the Persian Gulf. Reportedly Iran has five other destroyers. On Thursday, Iran's navy announced the acquisition of two mini-submarines designed for operation in shallow waters such as the Persian Gulf, including one new sub and an overhauled one. The announcements are likely intended to boost Iran's military image amid rising tensions with the United States, which in November re-imposed all sanctions that had been lifted under the 2015 nuclear deal between Iran and world powers. The Trump administration pulled America out of the deal in May.